Let this Wyndham Garden Baton Rouge make your business travel a pleasure. 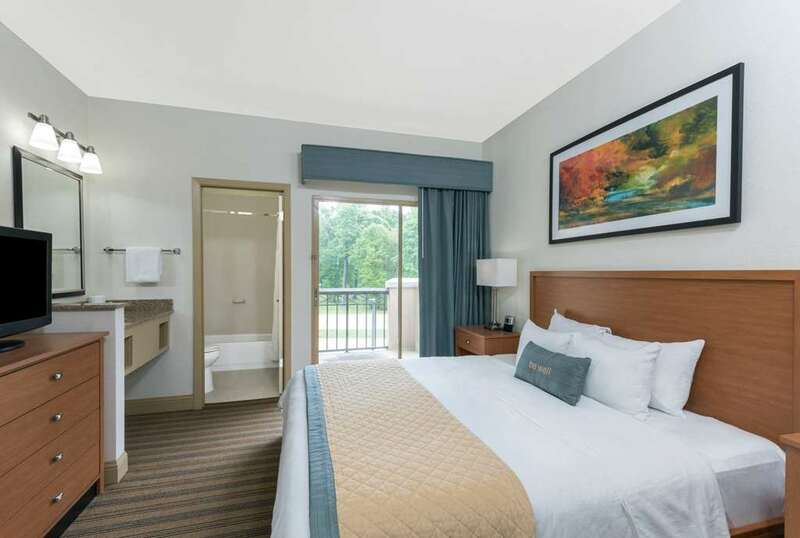 Conveniently located just off Interstate 10, this hotel is a short drive from the Baton Rouge Metropolitan Airport and only minutes from the sights of downtown Baton Rouge. This hotel also offers easy access to New Orleans and the gracious antebellum plantations around the area, as well as Louisiana State University, other area schools and Tiger Stadium. Enjoy amenities like complimentary Internet access, complimentary breakfast offered to all guests. a fully equipped fitness center, and a seasonal outdoor pool. Each morning, enjoy a full All-American style breakfast. There are also several upscale restaurants within a short distance of the hotel. Printing service and computer access will make your work easier, and you will rest well in the two-room suites which feature refrigerator, microwave, and sleeper sofa.